Most of you would love to read newspaper early in the morning with a cup of tea to get aware of the events that are going around the world. Now you can get aware of these events happening around the world with some of the Android news apps that also absolutely free. With the help of these following Android apps, you will be able to read latest news of different fields such as Cricket, Movies, Politics etc. in various languages. Dailyhunt is an Indian news app that lets you read news in various languages such as English, Hindi, Tamil, Malayalam, Kannada and more. The app makes it easy to get breaking news, daily news videos, headlines & updates on politics, sports, business, bollywood & entertainment, technology & automobile. Some of the adorable features of this app are that here you can find news stories category wise and Location wise. Dailyhunt fetches the best news from national & regional newspapers & websites. UC News is one of the most popular news apps in India with more than 50 million loyal users. You can read news in 15 local languages in this Android news app. The app is not limited to show you only Indian news but, it also fetches worldwide news in Hindi and many other languages. So, you can stay up to date with all the happenings over the world with UC News app! And, the best part is that you can get the dose of entertainment and fun to kill your time with interesting images, GIFs, funny jokes (in Hindi, Marathi, Gujarati and other languages) and viral memes. Google News is another ultimate News app for Android smartphones. It delivers nonstop news from all around the world. Google News delivers all sorts of news related to sports, technology, politics and many more current events from all across the world. Google fetches news from different newspapers and magazines so it’s very easy to subscribe your favorite places to get the latest news updates. 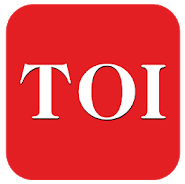 This is the official Android app of Times of India newspaper that brings to you the latest English news, breaking news headlines, live news alerts from Bollywood News & Photos, Cricket, Business, Travel, Gadgets, Education & City news updates on the go from India & around the World. It lets you enjoy articles in a short and crisp format for those who can’t afford time to read long stories. Along with lots of great features, it also comes with an offline mode to read news without internet. It lets you bookmark the articles to read later when free. Not only this, you can watch the live coverage of all breaking news on Times Now, ET Now and Zoom Live TV. NewsPoint is a news app by Times of India group. 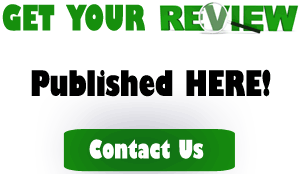 It provides latest news in Hindi, English, Kannada, Tamil, Malayalam, Telugu, Marathi, Bangla, Gujarati, Urdu, Oriya, Punjabi, Asamiya and Nepali from 300+ most read & reliable newspapers from India and the World. You can get the news alerts in different area such as politics, sports, business, Bollywood, entertainment, technology & automobile. And, along with news it features the daily viral videos for you to watch. If you are an Android phone user, then must install one of the best apps you liked from the above list to get aware of the current events related to finance, technology, sport, entertainment, magazine, lifestyle and many more. So install any one or all the five apps right now to get the latest news about what is going around in this world.